I am just awesome. I win. Often. Matty says he suffers from lapses in judgement. I say he just isn’t able to bring the knowledge like he once did. He is obviously distracted by something in his life or he simply lacks what it takes to be competitive in this environment. Plain and simple on this one. Steelers are just too talented for Tennessee to keep up with. Locker or no Locker, Chris Johnson is the true catalyst for the Titans and he has just yet to show up in 2012. Sorry, CV I just can’t roll with your boys. The Titans are relying on Matt Hasselbeck to lead them to victory over the Steelers? Even without Troy Polamalu the Pitt defense will be too tough for Tennessee. Rashard Mendenhall looked impressive last Sunday against the Eagles and I expect the Steelers will soon be in the Texans, Patriots, Ravens conversation when it comes to the best of the AFC. Last week was the beginning of the Andrew Luck era. He brought his Colts back from a 21-3 deficit and beat the Green Bay Packers. Reggie Wayne can still play as he totaled over 200 yards receiving. The Jets are a mess and this will be the Sanchize’s last start before Tebow takes over. The Jets are bad. The Colts are decent. Rex Ryan is a defensive genius. Andrew Luck is a rookie QB. Even without Revis, I think the Jets somehow find a way to win this one…oh and Tebow gets at least 15 snaps to start his overtaking of Mark Sanchez. I think the Chiefs are gonna come out with their guns blazing on Sunday. After the booing of Matt Cassel incident, the players in KC will be looking to grab a victory for their injured starting QB. Luckily for KC, the Bucs haven’t been overly impressive as of late. The Chiefs almost pulled the stunning upset over the Ravens last week but Matt Cassel didn’t allow that to happen. Jamaal Charles is the best back in football right now and it’s too bad all of his talents are going for naught. The Bucs are coming off a bye week and I love teams that come off bye weeks. The Chiefs will get an early lead behind a motivated Brady Quinn, but then Quinn will remember who he is, and the Bucs will get the W.
The trend continues! Wanting to pick against the Bengals, but with their level of competition I just can’t do it. I am holding tight to my “The Browns will go 0-16 this year” prediction even after the Bengals embarrassed me last week by losing to the Dolphins. Who knows what the hell is wrong with Mike Vick. A couple of years ago, the dude was a machine. Fantasy player like people dream about. This season, he’s a turnover waiting to happen and absolutely killing my fantasy team. That being said, I thought the Lions were going to contend this year…maybe not so fast. An anonymous GM made the statement that the Lions are overrated. While I generally agree with that assertion, I must say that I expect the Lions to come out pissed off and play with some sort of pride. It certainly helps the cause when the opposing quarterback is Michael Vick, who turns the ball over more often than not. 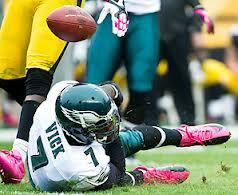 Vick reminds me of Matty. Stud a few years ago. Now, well, just a disappointment. I picked the Falcons to go down last week against RG3 and the Skins. One RG3 concussion later and I’m licking my wounds. The Raiders offense is pitiful. Carson Palmer should re-retire. Matty Ice takes this one. 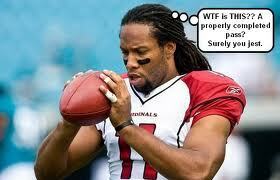 Michael Turner showing signs of life is devastating news for the rest of the NFC. The Falcons had a high-octane offense when he was running for 1.8 yards a carry. Now he is actually participating? If only the Falcons defense started to get into gear as well then they would truly be firing on all cylinders. This may have to become a trend. The more that Scottie hates the Rams, the more often I’ll have to pick them. The Dolphins pulled off an upset of the Bengals last week but let’s be serious. One word describes the eventual demise of the Dolphins: Tannehill. See, this is where Matty is just a damn fool. Has he watched Tannehill these past couple weeks? 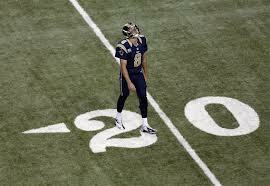 He has certainly been better than Sam Bradford ever has been in the NFL. That is a fact. Until Jeff Fisher realizes that Sam Bradford wouldn’t be successful in the XFL let alone the NFL, the Rams will continue to lose. Last week was a fluke. And don’t even tell me Bradford was anything close to good because if you do, you’re lying. The Ravens game last week against the Chiefs was much too close for comfort. How they won that dreadful 9-6 matchup is beyond me. Jamaal Charles went off and the Flaccjacket was terrible. Baltimore poses a great test for the soft Boys. I just don’t believe Dallas has enough on offense to win this one. Matty is right for once. The Cowgirls are softer than my toilet paper. The Ravens still feature that smash-mouth type football that everyone loves. When Flacco doesn’t have it going, the Ravens still have a great defense and Ray Rice can run the ball as well as any back in the League. The Cardinals were exposed last week against my boy Bradford. Everyone was ready to crown Arizona as the next hot team and look at that, the Rams take them out. With Ryan Williams and Beanie Wells on the shelf, the burden falls on Kolb. Burden falling on Kolb = Bills victory. The Bills have been embarrassed the past 2 weeks giving up the most yards of any franchise in 2 consecutive games since 1950. The Bills will be thrilled to see Kevin Kolb under center come Sunday. I think the Bills can throw up at least 17 points this week. That’ll be more than enough to beat the punchless Cardinals. The Pats seemed to get back on track last week despite Peyton Manning having his best game of the season. I just think the Pats have too much firepower for the Seahawks defense. I will be interested to see how well the Pats can stop Lynch up the middle. That dude is a beast! Yes, I am going to be the most unpopular guy in New England after picking this upset. I don’t see the Patriots hurry up offense working in a stadium as loud as Seattle’s. Brady is going to have trouble communicating audibles all game and the Seahawks have the best statistical defense in the league, including a tremendous front 4. I think they stop the Patriots offense. 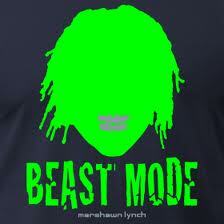 I think Marshawn Lynch will have a big game on the ground, and Seattle will come away with the upset of the week. The 49ers are in it for revenge against the Giants. Avenging that loss in last year’s NFC championship game. I’m not sold on the G-Men, nor will I ever be. Alex Smith is just good enough to get the victory. I love what Harbaugh has done with Collin Kaepernick and the WildKaep offense. The Giants are banged up and the 49ers are fully healthy. I have a feeling Manningham torches his old mates and the 49ers avenge their NFC title loss from a year ago. The problem with finishing up these picks on Wednesday is that right now I have no idea if RG3 is going to play or not. I’m putting my money on the fact that RG3 plays on Sunday, and brings the expectations in Minnesota a little closer to reality. Percy Harvin is the best playmaker in the NFL. He juked the whole Tennessee defense last week en route to a touchdown. Ponder continues to look good as well. Suddenly the Vikings look like a favorite to come out of their division this season. With or without RG3 the Vikings win this game. Hopefully everyone has seen the replay of the play that Brian Cushing got hurt on. Dirty move right there. A lot of players around the league are making a good point. It seems like the NFL is putting a ton of emphasis on protecting the offensive players while leaving defensive players out of the mix. Those are the types of plays that need to be removed from professional football. That being said, Rodgers gets the Pack back on track…it’s the return of the Mack (yesss!). For my fantasy football sanity I hope the Packers win and Aaron Rodgers goes off. But it just doesn’t feel like that is going to happen. Greg Jennings and Jermichael Finley have been hurt, Jordy Nelson has been invisible, and the offensive line can’t protect Rodgers with heavy artillery. Imagine what JJ Watt is going to do on Sunday! The Chargers really surprised me last week by going down against the Saints. I thought San Diego was ready to run away with the AFC West, but apparently I was mistaken. As I mentioned previously, Peyton had the best game of the season last week and I expect him to put up similar numbers on Monday night in San Diego. Peyton Manning looks healthy to me. 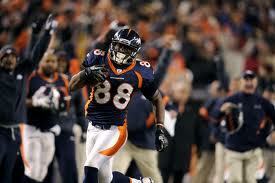 I am getting close to anointing Demaryius Thomas as the 2nd best wide receiver in the NFL behind Calvin Johnson. If McGahee didn’t kill the Broncos on 2 drives last week, it is entirely possible that everyone would be talking about the Denver Broncos. Ryan Mathews looked good for San Diego last week, but he isn’t good enough to win a game single-handedly. I can be followed on Twitter @ScottieNTCF. If Matty had Twitter you wouldn’t follow him anyway.